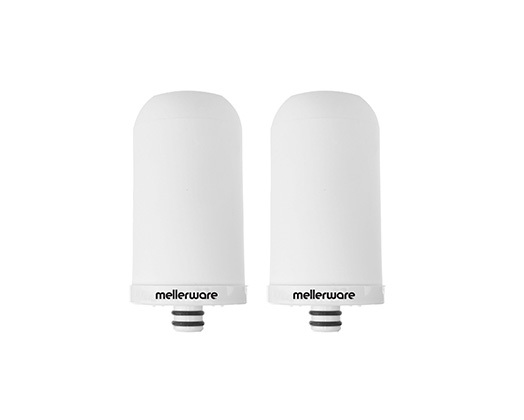 Mellerware presents the 90 Day 2 piece replacement Filter pack. Each filter has a unique 5 step filtration system designed to give you a faster water flow and guaranteed safe drinking water. It filters up to 2000 litres of water straight from your tap.